Chad’s government has imposed a state of emergency in the flashpoint Lake Chad region saying it has become a gathering point for Boko Haram fighters. 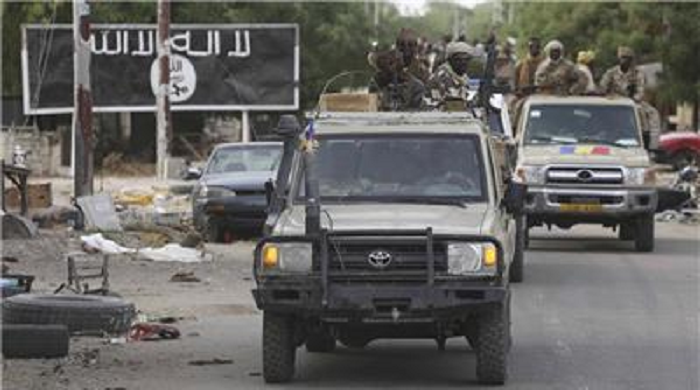 The area also straddles Nigeria, Cameroon, and Niger and is frequently targeted by Boko Haram. The announcement on Monday came as two female suicide bombers reportedly attacked a mosque in northern Cameroon, killing three people, and a day after a similar assault killed two others in Chad. Under the decree, the governor of the remote region will have the authority to ban the circulation of people and vehicles, search homes, and recover arms. The government said health, education, and economic development in the area must also be a priority as authorities struggle to stem Boko Haram’s recruitment drive. Since the start of the year, the Chadian army has been on the front line of a regional military operation against Boko Haram, whose attacks have spread from northeast Nigeria – its traditional stronghold – to the neighbouring countries of Chad, Niger and Cameroon. Chad’s Foreign Minister Moussa Faki Mahamat, speaking at a security forum in Dakar, called on other African nations to give his country more financial support for the fight. Iraq, has been hit hard by the offensive, losing territory, but it has launched a wave of attacks and bombings in response. The group, believed to be hiding out in Nigeria’s Sambisa forest and the lake’s many islands, is held responsible for 17,000 deaths and for making 2.5 million people homeless in its six-year campaign of violence seeking to make an Islamic state in the region.